Great location in Glebe - * Less then 5 minutes walk to Glebe LightRail * 10 minutes walk to Broadway shopping Center * 10 minutes walk to the Fish Markets and Blackwattle Bay * 25 minutes walk to Central train station * 30 minutes walk to CBD * 10 minutes walk to gym (Anytime fitness &amp; Snap fitness) * Quiet neighborhood and modern design home * Spacious open natural lighting living area * Opposite to a small reserve * Plenty of cafes on glebe point road Note: Currently, we do not have a couch in the living room area as the previous housemate took them away. However, we are planning to get one once our new housemate has settled into this big family :) Bill is split by quarterly * Internet (Monthly) * Water * Electricity All costs will be split evenly among all the housemates. We try to minimise bill cost by not wasting too much power/water. Hence, the bill do not usually go crazy $50 - $60 quarterly. This place is only 10 minutes walk from University of Sydney and UTS! The bus stop is right across the street and the light rail is only a 5 minute walk away. All inclusive rent includes water, electricity, gas, broadband internet and free gym use. The room is fully furnished with wardrobes, a fridge, WIFI, TV,a bunk bed and a bathroom inside the room. There is also a small balcony for clothes to be hung outside. We have a spare room available from Easter in our Glebe terrace at a very attractive price point! It's the smaller bedroom of an unrenovated terrace that actually has plenty of space inside and out. The house is a little tired but it doesn't bother us at all and hope it doesn't bother you either. Location wise its pretty darn good, 100m from the local shops, 100m from a pub in either direction, 15min cycle/20min run to the CBD and a quick stroll to Broadway shopping centre. Hello everyone We have one nice room available all bills included! Features: - Fully furnished - Weekly cleaning service - Fully equipped kitchen -Washing machine available -backyard with BbQ area The house is located on 108 Derwent Street Glebe and is a short walk to Central station USYD &amp; UTS. You are also located a short stroll to Broadway shopping centre where you will find bars, restaurants and supermarkets as well as buses connecting you to every point in the city. Excellent location among the tree-tops on breezy Glebe Point (we have been known to see possums!) for ladies only ** Bills and internet included - available 29 April ** A warm, cosy room with a sunny outlook in a vintage apartment. Clean and considerate people welcome (no shift or late night workers please). A Federation building circa1908, this apartment has loads of character and being UPSTAIRS on the 1st floor means it's VERY SECURE. A boutique building with just four apartments, all people know each other and are friendly. Transit is EASY AND SAFE at any hour of the day as the area is well-lit with steady pedestrian traffic, and bus 431 goes right past the front door ($2.20 into the CBD). The room is medium sized and is FULLY FURNISHED with a Japanese futon bed, robe, bedside chest, lamp and fan/heater and has two transit windows above the doorways (byo linen, towels and toothbrush!). When the back door is open a lovely breeze flows through the room. Visitors rave about the gorgeous kitchen with 10 foot high ceilings and loads of sunshine and house plants. NOTE: due to lease arrangements the room is available for ONE PERSON ONLY (no couples or room share). MOVING IN: Bond is $648, plus first week rent in advance $324. Ideal accommodation Available 18th MAY $350 plus 2 weeks bond. Large terrace house situated in Glebe Safe part of town, never had any problems, very friendly neighbours. The house is clean and tidy, looking for like-minded individual. Room for rent is a sunny large bottom floor room , fully furnished with bed, bedside table etc. It is a private room with a private entrance and private courtyard. 56 inch tv and and PS4 in living room. Netfilx speakers etc. Fast unlimited internet available included in cost. We are fully furnished, big warm lounge / dining and fully equipped kitchen to share. LOCATION LOCATION LOCATION: Very close to cafes, restaurants, bars, pubs and clubs. Very lose to light rail and bus links. All expenses are included. 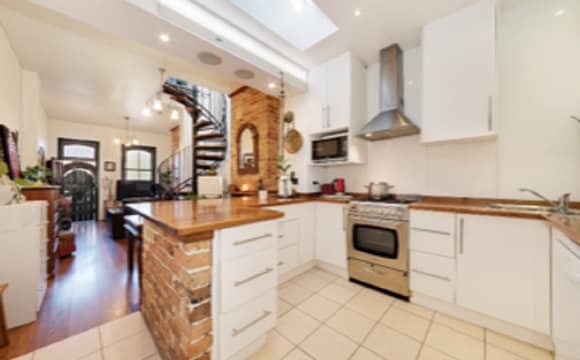 This 3-bedroom Victorian house has 2 bathrooms, 2 living room, a laundry room, a big kitchen, a cute terrace and we will be giving the master bedroom which is big and has its own personal balcony and walking wardrobe. It will come furnished with a Queen double bed mattress (with memory foam), a bed frame and L shaped desk. The house comes fully equipped and furnished. The room is medium size, bright and nicely decorated (original paintings). It features desk, desk lamp, lamp, build-ins, bookcases, bed, and chair. It has a balcony.Close to a big bathroom with bath and seperate shower. Towels and bed-linen supplied. The room is in a three level, four bedroom, two bathrooms + toilet townhouse with a lovely front garden and leafy and beautiful courtyard with a table and benches. House is warm, elegant, clean and tidy with a family atmosphere. Kitchen is equipped in all possible appliances. 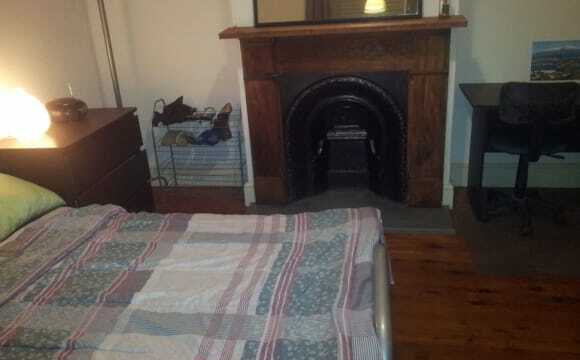 Located 5 min walk to Sydney Uni and RPAH, 10 min bus ride to UTS and CBD. In a quiet street but close to trendy cafes, yoga and wellness centres, shops, etc. Bus stop to CBD is located 30meters from a front door. You would be sharing the common areas with another housemate, European landlady, retired mechanical engineer and a very spoiled cat Master. We look for someone kind and considerate, who is non or moderate drinker. Overseas visitors welcome. Inquisitive mind is a plus. We can offer as well secure parking for a car (35$) or a bicycle (free) Price includes all utilities, unlimited high speed Internet, gardener and once-monthly a professional cleaner for common areas. We keep our house clean by having weekly shifts. We offer complimentary welcome and farewell party. Not suitable for couples The price for a short terms stays (below 6 month) is 500$ a week. 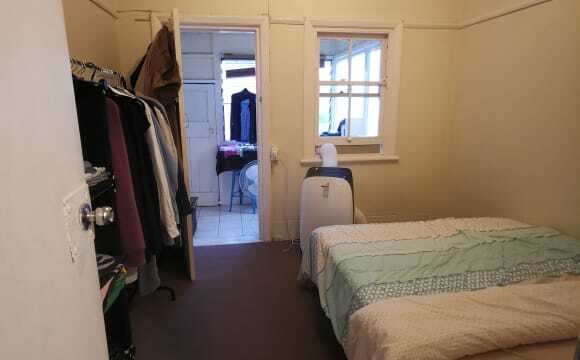 A single room (own room, not shared room) is available in Glebe. It is meters to the Glebe Point Road shops and buses, about 15 minutes walk to Syd Uni-⁄UTS⁄Broadway &amp; 1.5 km to Chinatown and Town Hall. It is situated in a quiet, wide tree lined street. Unlimited ADSL is provided free. The house mates are nice and friendly and are international. The location is excellent, with light rail stop around 100 meters away, and many buses on Glebe point road which is about 100 meters away also. We are looking for an open minded, responsible and quiet person to share the house. International students are welcome. A minimum stay of 3 months is required. Please text your details, including if you are a student, on WVH⁄traveler, or a local person just working, and how soon you can move and the length you wish to stay if you like the place, thanks. Sorry emails are not answered. COZY ROOM AND STUNNING VIEW!!! Our place in a few points: - Large 2 bedroom, 1 bathroom apartment. 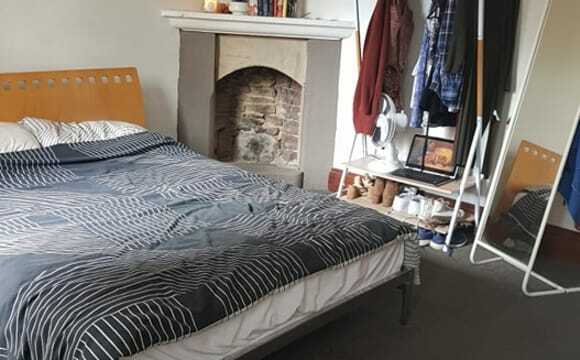 Very clean and tidy; - Your comfortable room is very bright with queen bed, desk and build in; - Price includes all bills, fast-unlimited internet, bed sheets and bath towels and cleaning of the common area + 2 meals per week; - Bus stop just around the corner. Easy access to Sydney CBD and close to all facilities such as cafes, restaurants and shopping centers; - Located on the water, next to park; - Suitable for a single person, no couples; Really beautiful, large, 2 bedroom apartment situated at the end of Glebe Point road with an amazing view on the glistening waters of Black Wattle Bay. We are in such a peaceful, quiet area and so just a few minutes away from everything you need such as cafes, restaurants, shopping center, Uni’s, … The bus, just on top of the street (2 minutes walk), will take you directly to the heart of Sydney. Or, if you feel like walking, it would only take you +/- 30 minutes. The comfortable, cozy room is fully furnished with a queen bed, desk and build in wardrobe. The rent includes all bills, fast unlimited internet, bed sheets and bath towels and cleaning of the common area. We can also provide you with 2 meals per week. These could be shared together with us or to be eaten at your own time. We are looking for a friendly, respectful, tidy person happy to share the place with us. Looking for people for the recently renovated apartment near Broadway Shopping Center. 2 bedroom and 2 bathroom apartment. 3 girls and 3 boys flat, just one bed available in boys room. Spacious living room with sunroom. Ensuite wardrobes, fully furnished, all bills included (Unlimited wi-fi). 4 minutes to Broadway Shopping Center and 5 Minutes to UTS and Wentworth park. 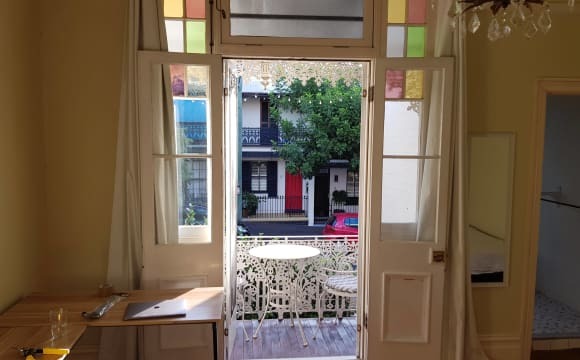 ROOM WITH ITS OWN BALCONY RIGHT NEXT DOOR TO BATHROOM I am looking for a housemate to share a lovely two storey Victorian terrace in a quiet yet convenient leafy street in cosmopolitan Glebe which has a village atmosphere. Your housemate will be Olivia who is 25yo and from Switzerland staying here until July working at Sydney University. It is very convenient as it is a short walk to the city, bus stop, light rail, Central station, Darling Harbour, four universities, TAFE, four swimming pools, The Tramsheds, 160 restaurants, Broadway Shopping Mall, Chinatown, Paddy's Markets, gyms and Wentworth, Victoria and Jubilee Parks. There is a lovely harbourside walk (pictured) near my home which is not far from the Fish Markets. The room is situated at the back of the first level and it is next to the bathroom. It is fully furnished with a queen-sized bed, large wardrobe, desk, chair and fridge. The bathroom/laundry consists of a bath with shower (where the hot water never runs out), vanity, toilet, washing machine and dryer. There are two courtyards where you can sit in the sun. There is only restricted parking for two hours on weekdays between 8 and 6pm but not on the weekends. Otherwise, you can obtain a sticker to park in the street at all hours. In the front of the house is a lovely rose and camellia garden with two large palm trees, a bird bath. a bench seat and table. There is 200G internet which is strong all over the house, a large TV on the wall and a living room. Rent is $350 per week paid into a bank account online in advance every two or four weeks. Bond is 3 weeks' rent. If interested, why not make a time today by text before you miss out? all bills and furniture are included in rent. You'll be taking the single room on the second floor. The room is very spacious and has two large windows with shutters and a built in cupboard. Plenty of room for a queen sized bed plus a desk, bookshelf and other furnishing. The house is also huge with heaps of living space and a big modern kitchen. The kitchen is fully equipped with a fridge, dishwasher, oven and microwave. There is loads of bench space, perfect for those who like to cook! There is also a courtyard out the back with plenty of room for plants and some outdoor chairs. You'll have access to two bathrooms. One, which is huge with a bathtub, you'll be sharing with just one other (Nathan) who has a flexible schedule, so you'll never be competing for the shower in the morning, etc. As for the location, one block to the east and you've got the waterfront with parks and walking paths. A block to the west and you've got all the hustle and bustle of Glebe Point Road. Lots of bars, restaurants, cafes, shops and markets. It's a seriously good location. The city is within walking distance and there's plenty of public transport. Hello happy house searchers, If you are looking for a nice, clean, quiet place to live to with to friendly and considerate housemates then this is the place. The house is a 3 bedroom, fully furnished terrace located in the centre of Glebe. Downstairs there is a small front yard with a verandah and bbq, an open plan living and dining area, large kitchen, full sized laundry and toilet, and a small backyard. Upstairs there are three bedrooms and the main bathroom,with shower, toilet and bath. The bedroom available is currently furnished with a bed, shelves and a small desk. 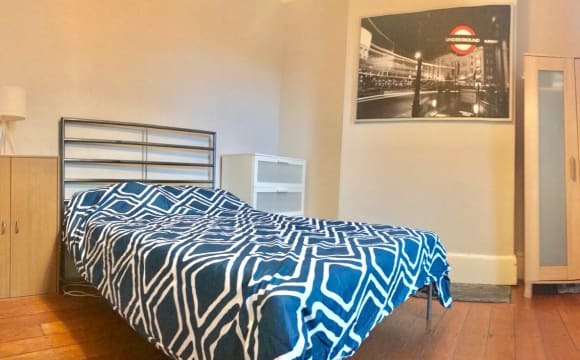 The house is located in the centre of Glebe, a 5 minute walk from Sydney Uni and Broadway Shopping Centre, The city is a 30m walk or 20m bus ride (buses come every 5m during the week), and central is 10m bus ride or a 20m walk. There is also a light rail very close by that can take you to Darling Harbour in 10m.